This talk will present research on flexible surgical robotics developed in the KAIST center for future medical robotics. We believe that surgical robots should be designed considering the benefits to surgeons with easy and intuitive control, to patients with minimum invasiveness and fast recovery, and to hospitals with affordable cost and reduction of surgery time. First, in order to meet these requirements, EasyEndo has been developed for solo-endoscopic procedures. By attaching a motor pack to a conventional endoscope, EasyEndo allows easy and intuitive endoscopy without assistants. Second, Portable Endoscopic Tool Handler (PETH) has been developed for more advanced procedures with additional surgical arms attached to the conventional endoscope. Several ex-vivo experiments have shown the improved performance of conventional endoscope and the feasibility of PETH. Third, K-FLEX has been developed that can perform dexterous robotic surgery through a flexible pathway by adding small robot arms to the flexible endoscope. An attractive feature of these robot arms is they can exert a great deal of force to lift organs and tissues with a specially designed constraint joint mechanism. This endoscopic surgical robot system will provide minimal invasiveness for patients and widen the robotic surgery area with more accessibility. With these robot technologies, we believe that surgeons and endoscopists can conduct a challenging surgery that has not been tried before. Based on our research experience over the last 20 years, we are planning to commercialize our research outputs. Since the current market of endoscopes is much larger than that of laparoscopic surgical robots, we will pursue commercializing our flexible robot technologies that will extend endoscope application from conventional endoscopy procedure to robotic surgery. Dong-Soo Kwon is a professor in the Department of Mechanical Engineering at the Korea Advanced Institute of Science and Technology (KAIST), director of the Human-Robot Interaction Research Center, and director of the Center for Future Medical Robotics. He is serving the IEEE Robotics and Automation Society (RAS) as a member of the Administrative Committee (AdCom). In addition, he is the founder and CEO of EasyEndo Surgical Inc., the chairman of the board of directors of Korea Institute of Robot and convergence (KIRO), and a member of National Academy of Engineering of Korea (NAEK). Kwonâ€™s research interests include medical robotics, haptics, and human-robot interaction. He has contributed to the advancement of several robot venture companies by technology transfer. Recently, Kwon established a start-up company based on his medical robot research results. From 1991 to 1995, he worked as a research staff member in the Telerobotics section at Oak Ridge National Laboratory. 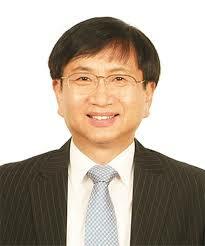 Prior to that position, he was a graduate research assistant in the Flexible Automation Lab at the Georgia Institute of Technology from 1985 to 1991, and the section chief manager in the R&D group of Kanglim Co., Ltd., from 1982 to 1985. Kwon earned a Ph.D. in Mechanical Engineering at the Georgia Institute of Technology in 1991, an M.S. at KAIST in 1982, and a B.S. at Seoul National University, Korea in 1980.